Have you heard of Momo? You may have even heard from ‘her’.The disturbing WhatsApp-based “challenge” has been linked to the suicide of a 12-year-old girl in Argentina.BA Times reports the girl filmed the activities leading to her death, with police now examining data on her phone.”The phone has been hacked to find footage and WhatsApp chats, and now the alleged adolescent with whom she exchanged those messages is being sought,” police said in a statement, according to British publication The Mirror. The online “game” has been likened to other “legends” such as Blue Whale, reportedly linked to teenage deaths in Russia, and Slenderman. 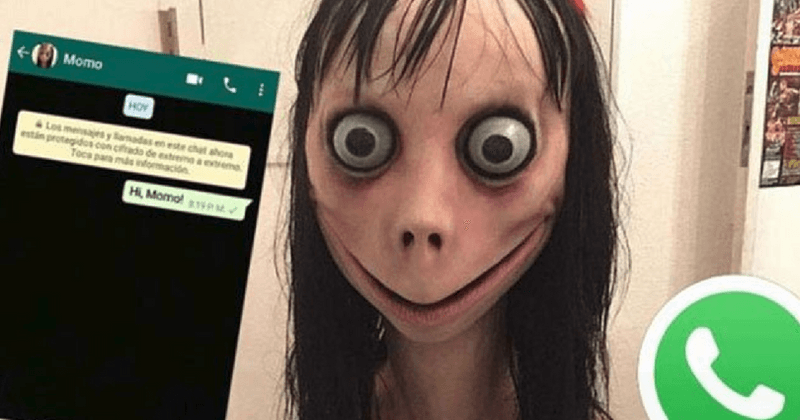 In the last few weeks, WhatsApp users have claimed to have been contacted by an unknown phone number with the image of Momo, a young woman with bulging eyes.The Momo account, according to reports, has sent disturbing and abusive messages to recipients, instructing them to follow “orders”. Talk of creepy interactions with Momo accounts has since sparked a viral challenge on Facebook, where participants challenge others to communicate with Momo’s phone numbers. The challenge has since taken off worldwide. The creepy Momo avatar is said to be traced to a sculpture created by Japanese special effects company. Meme database Know Your Meme traces Momo back to Instagram photos of the sculpture uploaded in August 2016.Two years later, in July 2018, an edited version the Instagram photo was shared to Reddit. This version looks a lot scarier than the original. A day later, a popular YouTuber featured the Momo urban legend in an attempt to explain why talk about the image and phone numbers associated with it were spreading so quickly online. The challenge’s rapid spread has alarmed authorities, with Spain’s national police warning: “It is better to ignore absurd challenges that come in the fashion in WhatsApp”.The Spanish civil guard has also instructed WhatsApp users not to contact Momo.Authorities have also warned it could be linked to cases of online identity theft. The Computer Crime Unit of Tabasco, Mexico said: “The risk of this challenge among young people and minors is that criminals can use it to steal personal information, incite suicide or violence, harass, extort and generate physical and psychological disorders such as anxiety, depression and insomnia,” according to Mirror Online.